Never got back yesterday and I even manage to feel a little guilty about it... well not terribly, but just enough to remind me I was raised Catholic. So this'll just be links until I'm all caught up here, at the radio station and for tomorrow's show. The heat wave in the east has abated somewhat although the long-range forecast for this week includes lots more heat so no putting away those fans yet. 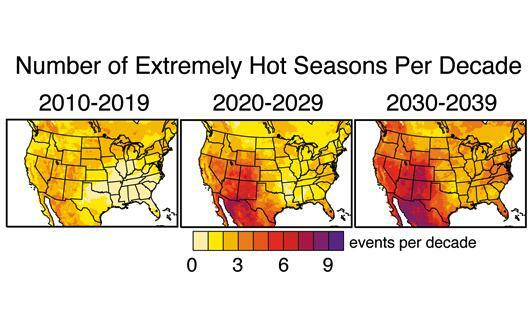 A study by Stanford University climate scientists says that exceptionally long heat waves could become the norm in the near future. 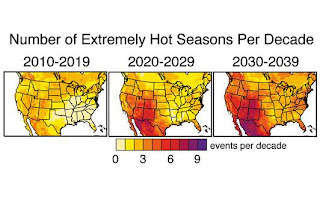 As the mercury rises outdoors, it's a fitting time to consider the effects of summertime droughts and global warming on ecosystems. It's also the right time to look at sunscreens and two studies that are creating confusion for Canadians on the subject: one from the Canadian Medical Association Journal and the other from the Canadian Dermatology Association - this CBC report tries to sort it out. In an absolute must-read, Andrew Nikiforuk of The Mark, explores Canada's descent into a petro-statehood brought to you by the not so good people of Canada's Conservatives and the Alberta government. Sticking with the black gooey stuff, it turns out that in spite of the ongoing catastrophe in the Gulf and promises of greater oversight, Doug Sanders reports on an explosion of drilling off the coast of Canada's Arctic in the narrow strait between Greenland and Baffin Island. Happily, it looks like there will be an independent review of the jack-booted police tactics that were employed at the G20 in Toronto. Ontario's Premier Dalton McGuinty has an idea - "Let's never do this again!" In Toronto on Satuurday there was a protest calling for accountability. I rarely get to say this, "Yay Toronto!" On Thursday's radio show we took a look back at Canada'a Somalia Inquiry, and what that was all about as it's long since down the memory hole. The relevance was to the recent stalling and obfuscations by the Tories on the Afghan detainee issue - here's a terrific CBC primer on Somalia and all that took place (for the shortened version, skip ahead to clip 12).